The compact Domino chimney oven concept consists of several modules. 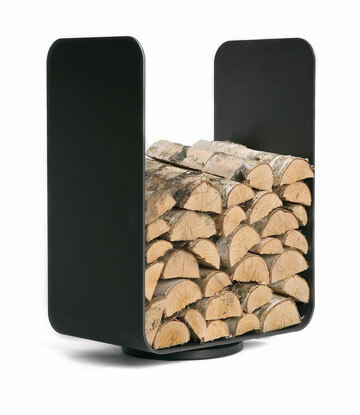 A compartment for keeping things warm and a storage space for firewood are practical complements to the central combustion chamber. 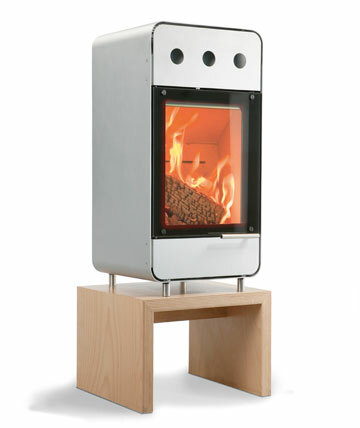 With its closed form the Domino chimney oven can either be positioned freely or integrated into niches and wall units. Different base models allow flexible assembly configurations. The chimney oven has a high degree of efficiency, thus offering a real alternative to conventional heating sources. The Andoo chair has been designed with an approach that could well be described as “minimal art.” The words “calm and clarity” best summarise the appearance of this elegant piece of furniture, the appeal of which is marked by a specific aesthetics derived from the interplay of its materials. The emphasis has been placed on how wood and leather can be combined to lend it a high degree of precision. The materials used for the Andoo chair focus the attention on an outline that is rigorously stripped to its essentials; yet the materials seem to complement and merge into one another. At the same time this also produces an interplay of hard and soft materials that suits its very function. The chair’s characteristics and tactile qualities fuse into a kind of symbiosis: The leather provides a pleasant feel and the wood ensures its stability. The elastically sprung back and the pocket springs in the seat lend Andoo the comfort of an armchair. 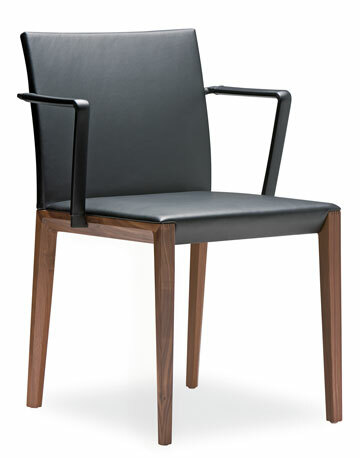 The elegant as well as clear appearance of this chair offers highly interesting facets when viewed from different angles. Looking from the front, back or side of the chair, one notices subtle differences of tiny details – depending on how the materials meet. The perception of this chair is a highly specific one, revealing a logic of the minimal that comes to life and can be re-experienced anew with every day of use.